The actor-producer and UN environment goodwill ambassador talks about how activism is integral to being alive and how she has made little changes to her daily life to practise what she believes in. 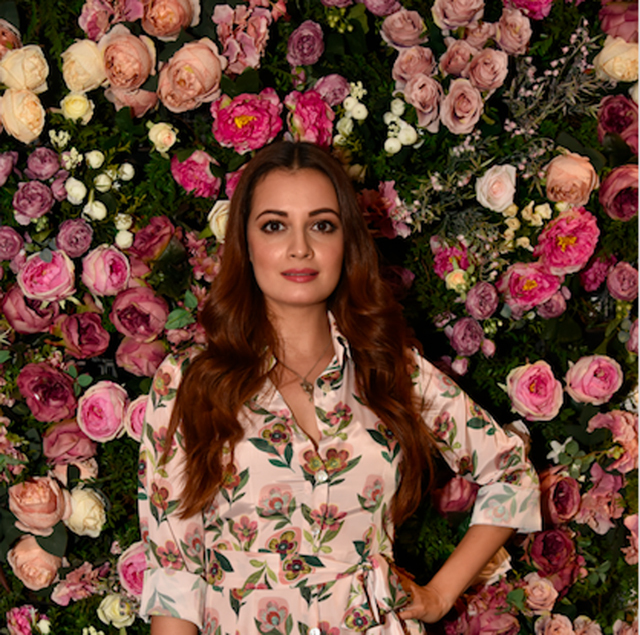 Very early in life actor, producer and United Nation’s Environment Goodwill Ambassador for India, Dia Mirza understood the importance of co-existing with nature. “Both in school and at home, I was taught that our actions have consequences; the way we live has an impact on the earth and everything that we use is coming from the earth and goes back to it,” she recalls. She watched her mother refuse all kinds of plastic; her father build solar panels and listened to teachers explain the concept of need versus green. “You’ll automatically become more aware of the changes you can make to live a more environmentally-friendly life,” she explains. When and why did you start talking about environmental issues? It started about 10-11 years ago when I started recognising that a big contributor to most of the health problems we face today is a very unhealthy environment, whether it’s the quality of water we’re drinking, or quality of food that we’re eating. During my early years of working with Cancer Patients Aid Association, I discovered how many young children have cancer today. With pesticides, the pharmaceutical industry has had an impact on ground water and contaminating the food that we’re eating. Industries like real estate have had an impact on contaminating the quality of air that we breathe. There’s complete lack of foresight on the part of our civic bodies in the way that they’ve handled waste management. What we don’t recognise most of the time is that it eventually is about each one of us and the choices we make on a daily basis. Until we acknowledge that as reality, we’re not going to be able to change anything. Plastic pollution became a very big part of my activism and as did air pollution because they’re connected. While shooting for Ganga—The Soul of India I travelled through four of the most pristine states in the country. There are ravines of plastic in the Himalayas, and there is no civic infrastructure there—no collection system, no disposal or no segregation. The locals are either burning their waste or it’s just lying there. This is not just a problem in a third world country. Recently, while I was in New York to attend the UN General Assembly, I saw a lot of plastic waste along the way to JFK airport. So much of that we eat and drink is packaged in plastic and nobody in the world ever challenged all this production and packaging. One of the captions we came up with to help people, particularly children, recognise how our consumption impacts the environment was “everything that you use and throw, think of where it’s coming from and where it’s going to go” and hopefully just that thought will ‘see’ the plastic—the plastic in our earbuds, the plastic in our toothbrush, the plastic in the chocolate or biscuit wrapper, the plastic in the detergent or rice bag, the fact that everything comes wrapped in plastic. How have you managed to carve time out for activism from acting, creating and producing? I found a way to integrate the two. Over the last few years, a lot of the acting or the celebrity work that I now do is connected to the main theme of my life and my purpose. When I did Ganga, it was so beautifully aligned to what I was trying to do outside of films. It was a unique TV show and it gave me an opportunity to voice issues that I’ve been passionate about. I believe one of my greatest strengths is communication. I’ve used that to further all of the causes that I support and you can see that in a lot of the stuff we’re producing at Born Free (her production company)—we made a wildlife anthem for India, we’re doing series that will celebrate wildlife champions and conservation heroes. How integral is activism to your life? For me, activism is integral to being alive. If one is alive to what’s happening around us, for me it’s the most natural thing to respond to it, question and think about it, to seek solutions. A large part of my activism has focused on seeking solutions. A very large part of the attitude I’ve had towards my activism has been to celebrate the good and in doing so, draw people’s attention to what’s bad or what’s going wrong. How have you managed to inculcate all these changes? I’m still learning to implement and change things, but there are some things I’ve successfully changed in my daily life. I’ve completely stopped the use of all single use plastics. So, my day starts with a bamboo toothbrush and plastic earbuds have been replaced by bamboo ones. My sanitary napkin is 100 per cent natural and biodegradable; I didn’t even know till two years ago that my sanitary napkin was largely made of plastics. I say no to straws, and if I have one takeaway coffee, I have my own mug that I carry with me. I carry my own water wherever I go and don’t drink packaged water. I even tried to trend a hashtag called #thetravelingbottle on social media. At home, there’s so much we now buy from wholesale avoiding the unnecessary plastic packaging. With detergents and shampoos, we try and get the refills. Also, the consumption of packaged food has reduced greatly in our daily lives because we now recognise that every time we eat packaged food, we’re contributing to that waste. Milk is supplied to our home in a glass bottle, and we have a full recycling system. I refuse plastic bags obviously, I always have a cloth bag on my person and so does the house help. We consume more vegetables and fruits, than we do meats. So, we’ve reduced our intake of non-vegetarian significantly and we are moving to a mostly vegetarian diet. Even within our society, we’ve installed water meters and gauges that ensures there’s no overflow of water tanks. No car is allowed to be washed with more than a bucket of water and it’s a practise that’s been implemented and valued by every member in the co-op. We segregate waste at source, we compost all or wet waste, and using that for our gardens and our plants. We’ve managed to implement simple, everyday measures and it feels good.